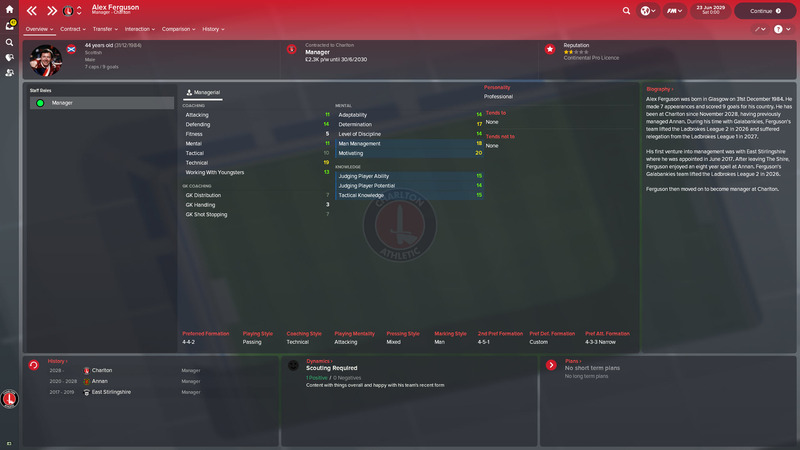 In this Football Manager 2018 experiment, we have placed a 32-year-old Alex Ferguson into FM18 to see how he’ll progress. If you missed the previous post in this series, do go back and find out how Ferguson has been getting on in Scottish League Two with Annan Athletic. In this post, we will review the next three seasons in Alex Ferguson’s career as he leaves Annan for an English club! After last years promotion, Annan were expected to finish in last place. I thought that Fergie may well have been approached by a better Scottish team after winning promotion, but he remained loyal to Annan but was unable to prevent their relegation. Annan finished in 10th position, fourteen points off safety. Will Ferguson stay with Annan and win promotion back to League One? Despite their relegation from League One, Annan were predicted to finish in 7th. This shows how unexpected their promotion was last year and perhaps how Ferguson hasn’t improved the squad as much as he could have done. Annan finished the 27-28 season down in 6th place and did not earn immediate promotion back to League One. What will Ferguson do now? He has been with Annan for nearly eight years but little progress has been made. Ferguson left Annan Athletic at the end of the 2027-28 season after 7 and a half years in charge. But what made him leave and where did he go? Alex Ferguson left Annan on the 31st May – this was the date on which his contract expired. So either Fergie left himself, deciding that not enough progress was made with Annan, or the board decided not to renew his contract. Fergie was out of work until November 2028. Over the summer he was wanted by a couple of Scottish Championship sides but nothing came of their interest. So did Ferguson pick up a higher tier job in Scotland? He did not, but he did make the move to England! And Charlton Athletic are the team to have secured Ferguson’s services. Charlton were relegated to League Two and two seasons of failure to win promotion, Charlton have opted to bring in Ferguson. As the Scotsman joins Charlton they are 12th in League Two and in need of a huge turnaround to win promotion this season. Alex Ferguson has enjoyed his six months with Charlton. 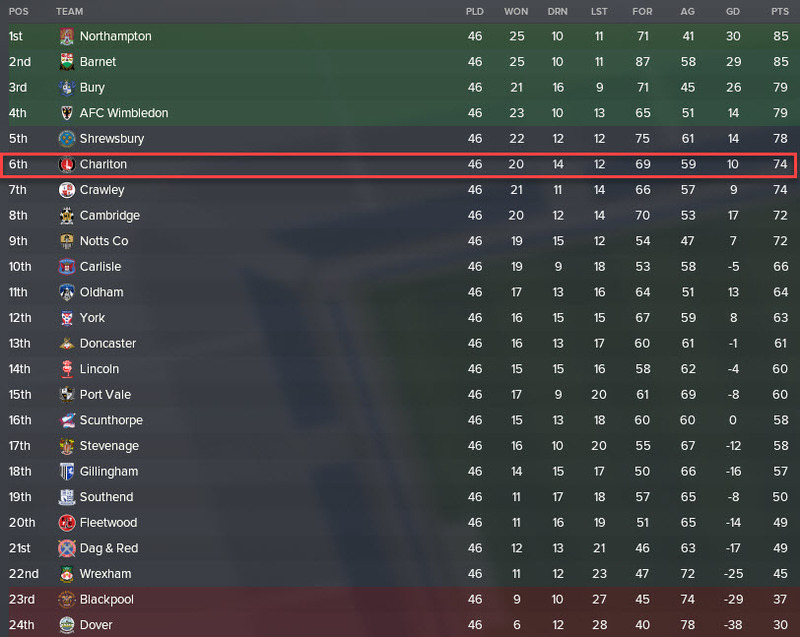 The rising Scottish manager improved Charlton’s league form to see them finish in the playoff places of League Two. But Charlton lost to AFC Wimbledon in the final on penalties. A gutting match for Ferguson and his side, but he’ll have next season to improve and ensure that his team win promotion back to League One. Ferguson won’t be happy with his low win percentage of just 38%. In 473 games he has won only 12 more than he’s lost. He will certainly be looking to improve these stats whilst with Charlton. Despite Ferguson’s poor win ratio, he has exceeded expectations in 3 of the last 4 seasons and 8 out of his 12 seasons in total. Ferguson overachieved with Annan and will hope to do the same with Charlton too. Ferguson’s current ability continues to improve as he looks to reach his potential of 200. But aged 44 I’m not to sure how much better he will get managing down in the lower leagues of English/Scottish football. He needs a move to a bigger team urgently! 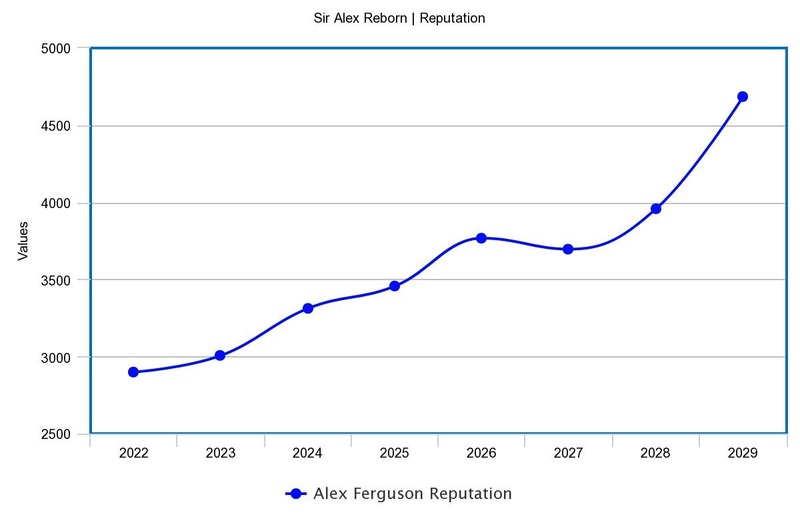 The graph shows a great improvement in Ferguson’s reputation after his move to Charlton. His rep took a small hit after the relegation with Annan but has increased significantly after moving to England. Could this see him move on from Charlton sooner than we think? If you liked this post, please do leave your feedback in the comments! Having made the move to England, will Ferguson rise up the leagues with Charlton or will a higher profile club begin to notice him? His side should expect to earn promotion back to League One and so the pressure will begin to grow should things not go according to plan. 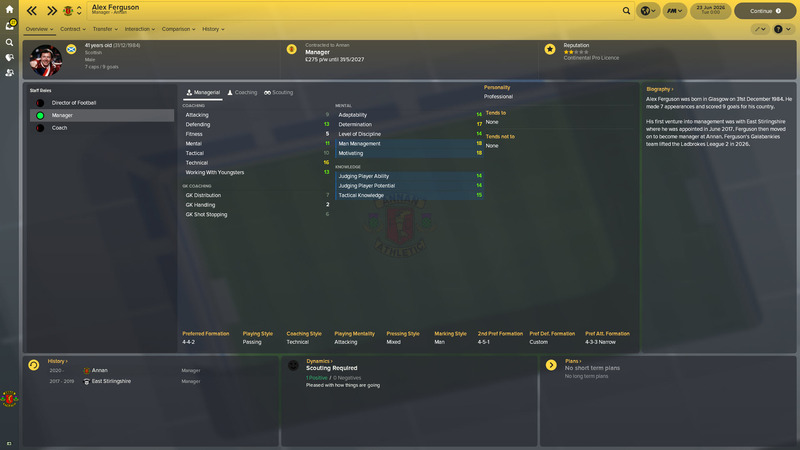 This entry was posted in FM Experiments | Sir Alex Reborn, FM18 Guides, Experiments & Wonderkids, Football Manager 2018 and tagged alex ferguson, annan athletic, charlton, england, english league two, FM Experiments, fm18, football manager, scotland, scottish league one, scottish league two. Bookmark the permalink.